Laser Quest Birthday Party Contest! Home » Contests » Laser Quest Birthday Party Contest! 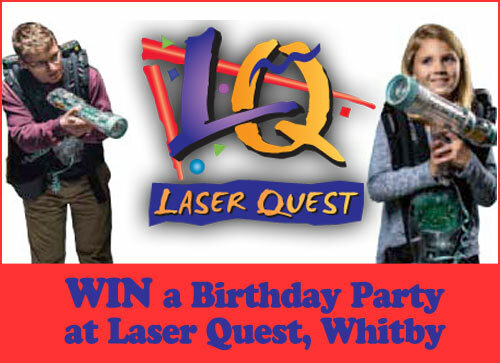 Win a Birthday Party for 20 participants at Laser Quest Whitby! Your child and friends will enjoy two fun-filled missions over a two hour period, and have the use of a private party room. The guest of honour also gets a free pass to Laser Quest! February Giveaway for Middle Grade Readers!